AN award-winning international best-selling author will be signing books at Waterstones in The Avenue Shopping Centre in Newton Mearns at 10am on 29 May. 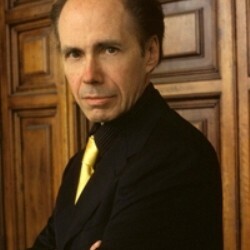 Master of the mind game, Jeffrey Deaver, will be signing copies of his just-published mass market paperback James Bond book, Carte Blanche in-store. In Carte Blanche, James Bond, in his early 30s and already a veteran of the Afghan War, has been recruited to a new organization. Conceived in the post-9/11 world, it operates independent of MI5, MI6 and the Ministry of Defence, its very existence deniable. Its aim: to protect the Realm, by any means necessary. Michelle McCabe, centre manager at The Avenue, said: “As a James Bond fan, I’m thrilled that Jeffrey Deaver is coming to The Avenue – and I’m sure that many of his readers will make a bee-line to Waterstones for a once in a lifetime chance to meet the author in the flesh.